We offer a collective transfer on Saturday at 19:00 and Sunday at 17:00 with departure from Poreč. Minimum for 3 persons, or pay for 3 tickets ! For individual group we are available with privat transfer on request all days of the week any time. We are a transportation company, which provides taxi services and all kind of transfers in Slovenia and neighbourhood countries like Italia, Croatia, Austria and also Germany - for more than 25 years. 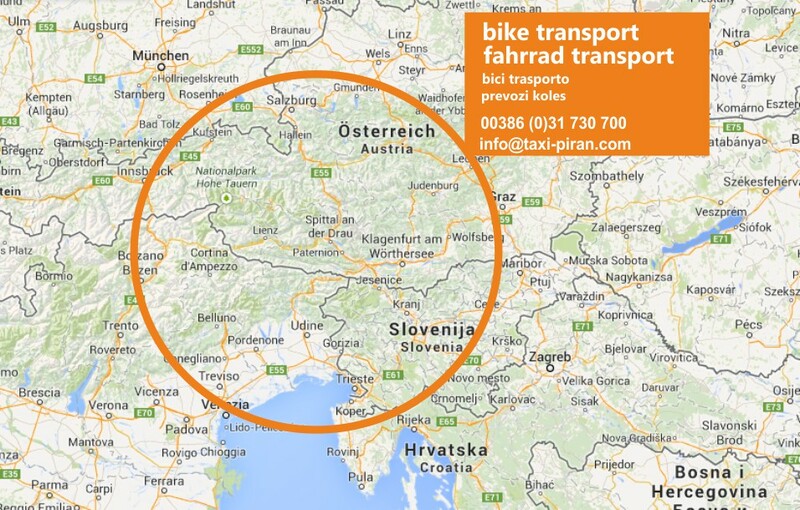 We have also a trailer which can transport 20 bicycles and a bikecarier for 4 bicycles. We offer transfers for individuals with bicycles and laguage or transfers for bigger groups. If you have an idea for your private tour do not hesitate to contact us ! Porec towards north Italy, south Tirol, Austria or south Germany. We offer high quality service with Mercedes vehicles.